Rampage made a statement last week, surprisingly beating out A Quiet Place for the top of the box office. 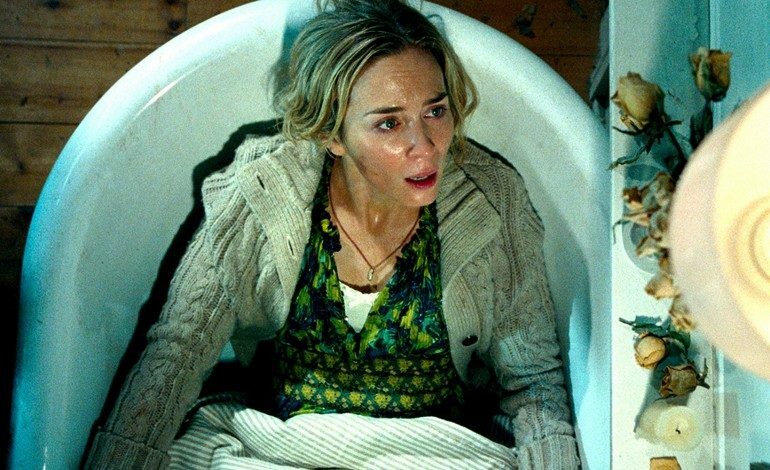 A Quiet Place did not stay silent for long, retaking the top of the box office for this weekend. The film made a solid $22 million, continuing its torrid run through the box office. Rampage also continued its strong box office run, taking the second spot with $21 million. The film has fared much better overseas, making over $200 million globally versus a mere $66.6 million domestically, according to Variety. Taking the third spot on the box office was newcomer I Feel Pretty, the Amy Schumer-captained comedy that brought in $16.2 million. There seems to be a lot of division in ratings, as the film has a decent B+ Cinemascore, but has a paltry 34% from critics and an even lower 29% rating from audiences on Rotten Tomatoes. The film has already exceeded expectations, however. Finishing the top five at the box office was Super Troopers 2 at fourth, finishing with $14.7 million, and Truth or Dare, the Universal and Blumhouse collaboration that finished with $7.9 million. Super Troopers 2 definitely exceeded expectations, considering that the film was a crowdfunded campaign that many believed would crash and burn. It has already demolished the box office projections by placing fourth in the box office ranking for its debut.